Starter Set of Sands Alive! 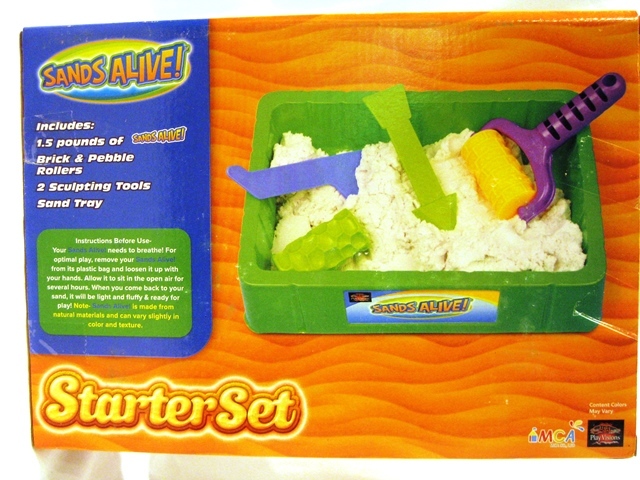 includes Brick and Pebble Rollers with interchangeable handle, 2 sculpting tools, convenient play tray and 1.5 lbs of Sands Alive! original color. 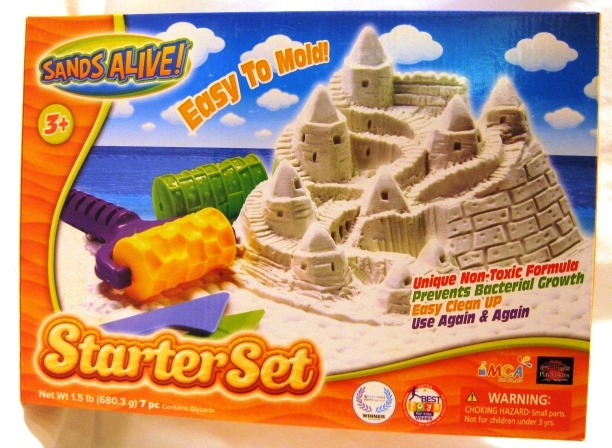 Fun to mold and shape, for kids 3 and up. Fun for grown-ups too!